Maria Todorova begins her book Imagining the Balkans (1998) with a paraphrase of the opening line of The Communist Manifesto: ‘A spectre is haunting Western culture – the spectre of the Balkans’. In the twenty-first century a similar spectre is haunting Western Europe and Britain—the spectre of the ‘Eastern European’ migrant. 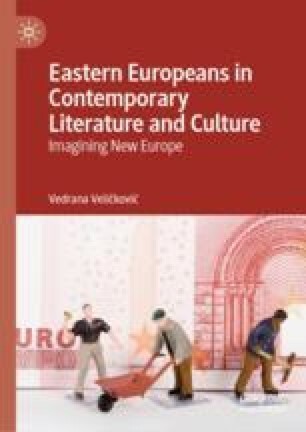 Examining their visible and audible presence in twenty-first century Britain and Europe, the introduction sets the context with outline discussions of contemporary structures of Eastern European othering, via an intersectional approach of postcolonialism and postcommunism.